The weather outside might be frightful, but you can tell that a warm welcome awaits you at this home, with this colourful festive wreath and a glimpse of the lit tree inside. Painted by Edgar Hodges, this design is finished with high gloss. 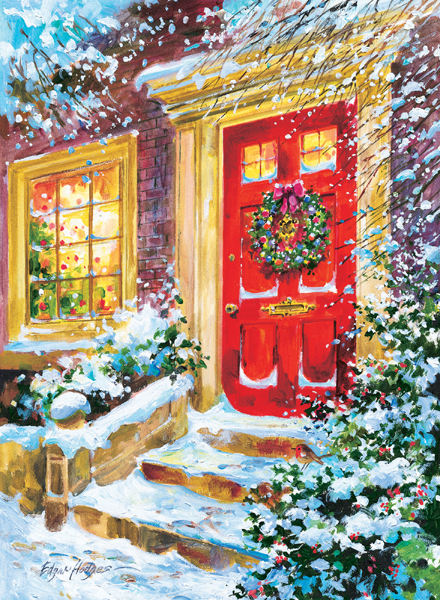 By purchasing the Welcome Home Christmas card 10p for each card you purchase will be Donated to the Charity of your choice from the Charities listed below.